This is the new site of Cally Black. I write science fiction novels for Young Adults. In 2015 I won the Ampersand Prize and a publishing deal with Hardie Grant Egmont for my very first young-adult novel, In The Dark Spaces. In the Dark Spaces is a science-fiction thriller published in 2017. It won the NZ Book Prize for CYA - Young Adult Fiction (the Copyright Licensing NZ Award), won a Queensland Literary Award, won an Aurealis Award, is a CBCA Honour Book for 2018, Highly Commended in the Victorian Premiers Literary Prize, shortlisted in the West Australian Young Readers' Book Awards, the Ethel Turner Prize in the NSW Premiers Awards, the Inky Awards, the Queensland Literary Awards and the Ditmars. I'm a reader, teacher, traveller, motorbike rider, and a writer, constantly seeking ways to create stories that speak to readers. Originally from NZ, I've spent 20 years living in Melbourne but now I'm travelling the country in my bus. You can follow that adventure via the Wordpress link at the bottom of the page. Around writing, I teach online at Victoria TAFE. Since winning the Ampersand Prize I’ve written a novel for younger children called How to Bee (Allen & Unwin) under the name Bren MacDibble. I use a pseudonym to keep my two readerships separate. My first YA novel, a SF thriller, IN THE DARK SPACES, is about a girl living on the fringes of one society, who is kidnapped and forced to learn to survive in a completely alien society. She'll need to find her voice, her power, and her young cousin, before both societies tear each other apart. Hardie Grant Egmont describe it as "a genre-smashing hostage drama. This ground-breaking thriller is the latest young-adult novel to win the Ampersand Prize, a stand-out entry with a blindingly original voice: raw, strange and deeply sympathetic. With its vivid and immersive world-building, this electrifying debut is The Knife of Never Letting Go meets Homeland, for the next generation of sci-fi readers." On sale from Hardie Grant Egmont and all good bookshops. 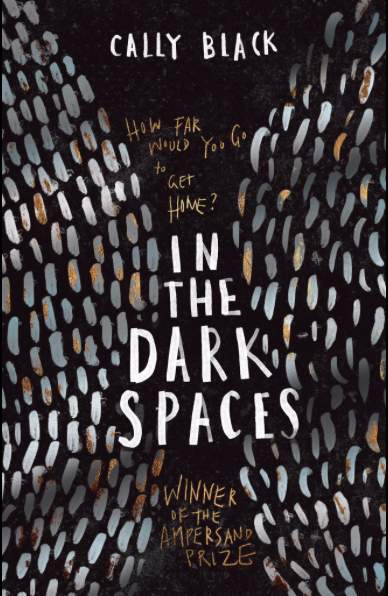 In the Dark Spaces won the Ampersand Prize in 2015 and hit the shelves August 2017.